Mortal Kombat mobile massive update out now. These New Update adds three Mortal Kombat 11 console game character. you can experience the MK 11 Console character on mobile. 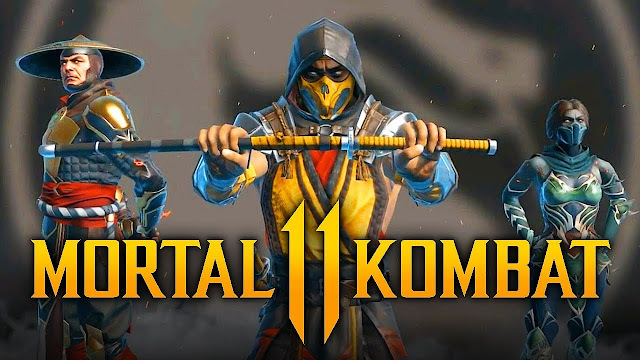 It's introduced MK11 JADE, MK11 RAIDEN and MK11 SCORPION. Battle through special Trial Challenges as MK11 JADE and MK11 RAIDEN to add them to your roster. Earn Mortal Kombat 11 SCORPION through multiplayer rewards. Explore the New main menu and make sure to complete Quests in Outworld to unlock the new Netherrealm Map and don't miss the limited time Mortal Kombat 11. you can grab Mortal Kombat 11 from Google Play Store.